Faced with numerous difficulties in assigning products related to their products. Especially for a store that includes tons of various items regarding designs and products, this becomes even more arduous than ever. Have you ever wondered how to assign product related products quickly and without wasting your time? All of this can be quickly dealt with thanks to the launch of Mageplaza Automatic Related Products. This module allows you to set the relationship between the displayed product and related items thanks to the conditions and actions. It enables the display of related products automatically and quickly. Just a few clicks, you can set up product related products quickly, no matter how diverse your online store. This plugin not only saves you time in managing your store but also boosts sales and improves the shopping experience for your business. We are excited to introduce to our e-commerce store owners a great extension, Mageplaza Automatic Related Products. Follow us to discover the great things that this module brings. That’s great. 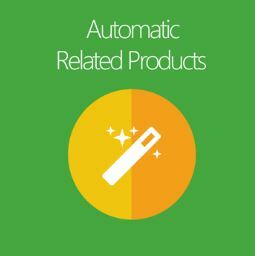 Magento Automatic Related Products allow administrators the option of setting specific conditions and actions to display items related to the product. You can set this feature in a very simple backend. With this feature, administrators can create infinite product blocks such as Related products, Upsell products, Cross-sell products, Daily deals, New products, Featured products, Random products or Bestsellers. Mageplaza Automatic Related Products develops this feature to help shop owners monitor and evaluate statistics including Impression (views), clicks and CTR (clicks/impressions). Thanks to these parameters, merchants can efficiently manage related products as well as decide which rules to optimize for the store. A significant feature of this extension is that it includes metrics like impressions, clicks, and CTR that are recorded and reported in the add-on. Based on these statistics, administrators can evaluate the performance of rules, so it’s easy to disable/edit them quickly. Suggested products can be displayed and arranged in blocks and specific order. In the appendix, it includes five available orders including Bestsellers, Lowest price, Highest price, Newest products or Random products. For example, if you choose related products displayed in the best-selling order, the products will be shown in descending order. Ajax Loading is a must-have feature in every module. Fortunately, it is integrated into Automatic Related Products by Mageplaza. It dramatically enhances the user experience. Thanks to Ajax, the display of the products will become more attractive and stimulate the customer. It is why they make a purchase decision. Custom block title: Thanks to this feature, administrators can quickly name rules and blocks from the backend. Restrict item quantity: This feature allows administrators to add Price and Review as well as Add to Compare / Wishlist buttons. Multiple blocks: With this useful feature, you can set the blocks to display at the same time on a page. 30+ block locations: You can select locations to locate blocks on a page. Mageplaza offers over 30 different positions for you to do this. Unlimited rules: For each product, you can set universal rules. Preview products: After the administrators have finished setting up the products, you can view them first to make the most appropriate adjustments. Go to admin panel > Mageplaza > Automatic Related Products. Here is an image that you will see after following those steps. It includes two fields for you to configure: Manage Rules and Configuration. Let’s find out them. They have the user guide here. You can select the page that you want to setup the Related Products as an image below. This section enables you to setup the Related Product Block on your desired Product Page. Also, in this field, you can set the rules and conditions for the Related Products. In the Statistic page where the Rule is applied, the Product selection from the Block of ARP along with the percentage of the Product selection and the Page entry. In this Rules Information, you need to enter all information for installing the Related Products as you desire. Here is where you choose the conditions for pages. You can add/remove conditions by clicking on + or x. Also, you can change the true/false of the condition by clicking the bold text. Here is where you select conditions for pages. Suitable product pages will be displayed here. By clicking on + or x, you can add/remove conditions. Also, by clicking the bold text, you can change the true/false of the condition. Here is the Product List after you save the conditions. You should fulfill information that includes in this field such as Block name, Product layout, Limit number of products, Product order, Display additional information. After a parent rule (an original rule) is generated, a child rule can be made by clicking Add A/B Testing. You can edit this child rule to set up parent rules. After creating the A/B Testing Rule, the Statistic section will change sum up the views, clicks, and CTR rates of two rules. In the Parent Rule section of the A/B Testing: it will indicate which of the two links is the Parent-Child. This field enables you to install the Related Product Block on the Category Page that you desire. It includes 5 Location options to show the Block on Category Page. Custom: Allow choosing the block’s display location in any position. By installing Conditions, you can choose the Category Page you want to apply the rules; you can’t select as many conditions as the Product Page. Similar to Action of the Product Page above. Similar to A/B Testing of the Product Page above. This section allows you to install the Related Product Block on your desired View Cart Page. It includes 6 Location options to display the Block on Category Page. Related Product Block: the new block replaces Magento’s default Cross Product Block in View Cart Page. Before cross product: Allow showing the Related Product Block at the top of the Cross Product Block of the View Cart Page. After cross products: Enable displaying the related Product Block under the Cross Product Block. Above Content: Easily show Related Product Block at the top of Content. Below Content: Easy to display Related Product Block below Content. Custom: Easy to select the block’s display location in any position. You can select the same conditions as the Product Page. Furthermore, you can set additional conditions for Total Items in the Cart, Total Price and Total Volume of Products. Choose Yes to enable the Automatic Related Products. Mageplaza Automatic Related Product has a user-friendly and eye-catching interface. The customer can easily look for the products as well as add them to their cart. Mageplaza Automatic Related Product is a perfect extension for Magento 2 shop owners. 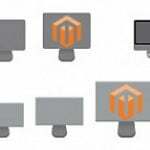 It is developed based on the Magento code standard, and that is why it is compatible with most 3rd party extensions. It not only helps increase your sales significantly but also improves the shopping experience for your customers. Customers tend to prefer hinted product for them rather than looking for themselves. It is the brightest star in all module that your store is owning.